Choosing a tile and grout cleaner for your home or place of business in Loma Linda, California is not easy. Why? Because you are bombarded with misleading advertising, confusing claims, and simply bad information. Or worse, no information at all. From super-low prices and high-pressure sales--to unqualified technicians and near-worthless methods--how do you ever find a qualified, competent, professional tile and grout cleaner? You start by reading this Consumer's Guide, where you'll discover how to avoid tile and grout cleaning rip-offs, four mistakes to avoid when choosing an tile and grout cleaner, and five steps to sparkling, clean surfaces. 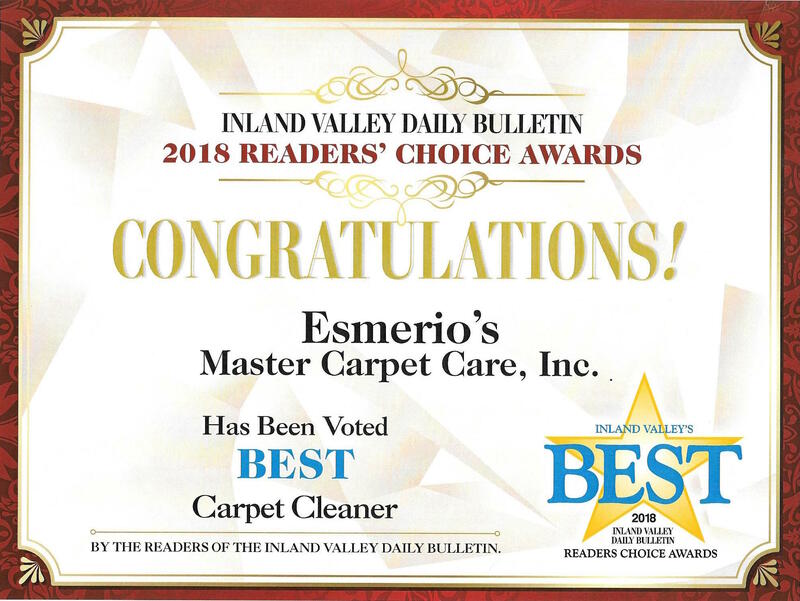 I have been in the Cleaning Service Industry for over 23 years, and was recently awarded as the BEST Carpet Cleaner in the Inland Valley by the Daily Bulletin. I have dedicated my business to helping home and office owners get the highest return from their hard surface investment. I welcome your inquiries and will gladly answer your questions over the telephone. I wrote this guide to help you better understand tile and grout cleaning. Now, with this information, you can make an informed, intelligent decision. To some degree, all of us are attracted by low price because we want to work within a budget. But some tile and grout cleaners use price as the bait for their false and misleading advertising. They offer a cheap price--like $79.95 for a basic cleaning--and then, once they're in your home or office, they pressure you into buying "add-ons". It's as if you were buying a car and found out that the dealer was charging you extra for the tires and steering wheel. Professional tile and grout cleaning is not as cheap as some unethical tile and grout cleaners would like you to believe, and these specials may not solve your hard surface problems. Their basic price may not even include complete cleaning and source removal! Professional tile and grout cleaning should include all of the system. 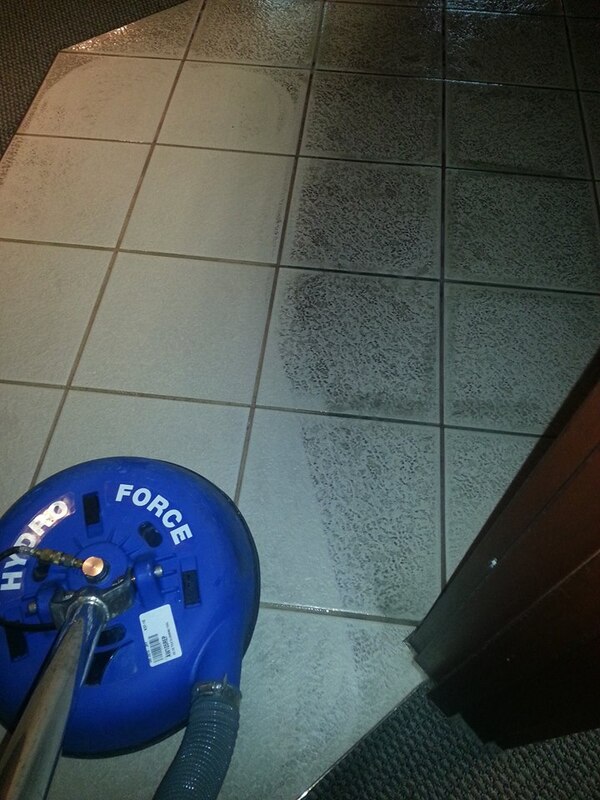 Unfortunately, unethical tile and grout cleaners often use a "basic" cleaning as a bait-and-switch technique. Here's how it's done: First, they "bait" you with a basic cleaning at an unbelievably low price. Then, when you call, they try to "switch" you to more complete, and more expensive, service. They call it their dual process system . If you don't fall for their switch--and choose their basic service--you'll likely receive poor workmanship and they will not guarantee their work. If this process was the best, wouldn’t the manufacture want to sell as much as possible of this system to all cleaners. First to make as much money as possible and second to offer the very best equipment to the general public. The real story goes more like this tile and grout cleaners saw the equipment and decided it wasn’t very good. So chances are the reason he has it is because nobody else wants it. RIP-OFF # 4: One method of tile & grout cleaning is as good as another. No. The mop and bucket method - which is the first method developed for hard surfaces - does not completely rinse your tile & grout in any way. Instead they leave a soiled residue behind especially in your grout lines. Then when they seal your surface, this is soil that is being sealed in. You might say they clean your tile & grout only halfway. ; the most effective cleaning method is hot water rinse and extraction. It is the only method that completely removes all the soil germs and bacteria. MISTAKE # 1: Choosing an tile and grout cleaner based on equipment alone. No question, your tile and grout cleaner needs first-rate equipment. But he also needs something else. He needs employees who are skilled at operating that equipment. Many companies own the right tools, but very few companies teach their employees how to use them properly. (1) Low price can be the bait that attracts your phone call. But once the cleaner gets into your home or office, he pressures you into a much more expensive job. (2) Low price can be for a partial job or only surface cleaning. Rarely does the consumer know what this means, and, when told, asks for a more complete cleaning and/or other services which result in a much more expensive job. MISTAKE # 3: Choosing an tile and grout cleaner based on a single telephone call. Instead, invite the person to your home and ask for a specific written quotation. Then you'll know exactly what the tile and grout cleaner recommends- -and you won't be the victim of high pressure tactics when the technician steps into your home. MISTAKE # 4: Choosing an tile and grout cleaner who doesn't offer a money-back guarantee. In my view, every tile and grout cleaning company should be fully accountable for its work. And if you aren't pleased with the job in every way, you shouldn't have to pay for it. Period. MISTAKE # 5: Choosing an tile and grout cleaner without getting comments from his other clients. Any tile and grout cleaner can say anything about his past jobs. And, sadly, some of what he says may not be true. Absolutely False. There are many companies out there who have just started cleaning tile and grout -- and a large number of their employees don't know how to use it they lack the proper training. You probably know someone who bought the newest computer on the market, but didn't learn how to use it for a year or more. The same is true of tile and grout cleaning equipment. Maybe--but not always. 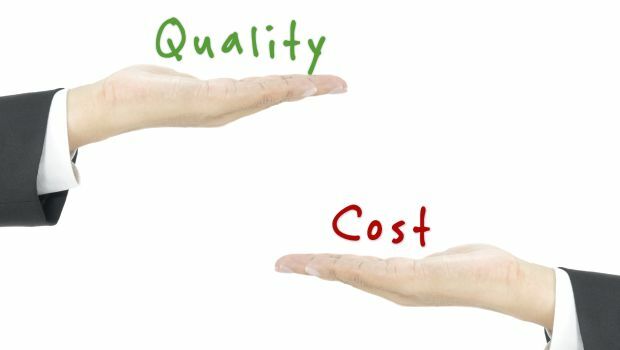 Here are some points to consider: The price you see offered may not be for the services you want performed. Price is what you pay. Value is what you get. When you select an tile and grout cleaner, you'll choose from a wide variety of capabilities and prices. Not surprisingly, having your hard surfaces thoroughly cleaned by a professional costs more than doing it yourself. If you are going to use the cheapest cleaner to do the job, you may actually be better off doing it yourself. On the other hand--if you want your hard surfaces thoroughly and reliably cleaned--then you have to have it cleaned by a skilled, qualified technician. DO YOU WANT SPARKLING CLEAN SURFACES? If all you want is a quick splash and dash cleaning--then I respectfully ask that you call another company. But, if you want to protect your surfaces, and the investment you made, then you're invited to call me. I want you to be super-pleased (in fact, delighted) with every tile and grout cleaning job I do. So, every job comes with my iron-clad, risk-free, guarantee. What does this mean? Simply this: If you aren't happy with my work, I'll re-clean the area for free. And, if you still aren't pleased, you get all your money back, no questions asked. Many companies don't guarantee their work, but I feel nothing is more important than your complete and total satisfaction. I stand behind every job 100%. I'll be happy to answer any questions you have, provide you with an estimated price over the phone, or come into your home/office and give you a free written estimate--without cost or obligation of any kind. If you have any questions or comments, please call me at 1 800 848-8385, or visit our official website for more information.